Citation: Catunaregam spinosa (Thunb.) Tirveng., Adansonia 35: 13. 1978; Manilal & Sivar., Fl. Calicut 132. 1982; Mohanan, Fl. Quilon Dist. 206. 1984; Ansari, Fl. Kasaragod Div. 187. 1985; Manilal, Fl. Silent Valley 130. 1988; Ramach. & V.J. Nair, Fl. Cannanore Dist. 213. 1988; Antony, Syst. Stud. Fl. Kottayam Dist. 189. 1989; Babu, Fl. Malappuram Dist. 320. 1990; Vajr., Fl. Palghat Dist. 230. 1990; Sasidh. et al., Bot. Stud. Med. Pl. Kerala 18, 33; Sasidh. & Sivar., Fl. Pl. Thrissur For. 218. 1996; Sasidh., Fl. Shenduruny WLS 147. 1997; Sivar. & Mathew, Fl. Nilambur 318. 1997; Sasidh., Fl. Periyar Tiger Reserve 170. 1998; Sasidh., Fl. Parambikulam WLS 147. 2002; Ratheesh Narayanan, Fl. Stud. Wayanad Dist. 415. 2009. Gardenia spinosa Thunb., Diss. Gard. 7: 16. t.2. f.4. 1780. Gardenia dumetorum Retz., Obs. Bot. 2: 14. 1781. Randia dumetorum (Retz.) Poir. var. floribunda (DC.) Gamble, Fl. Pres. Madras 616(434). 1921; Anil Kumar et al., Fl. Pathanamthitta 266. 2005. Randia brandisii Gamble, Fl. Pres. Madras 616(434). 1921, nom. illeg. 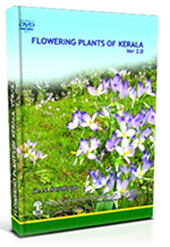 ; Anil Kumar et al., Fl. Pathanamthitta 266. 2005. Randia spinosa (Thunb.) Poir. in Lam., Encycl. Suppl. 2:329.1811; Hook. f., Fl. Brit. India 3:110.1880. Xeromphis spinosa (Thunb.) Keay, Bull. Jard. Bot. Etat. 28: 37. 1958; Subram., Fl. Thenmala Div. 181. 1995. 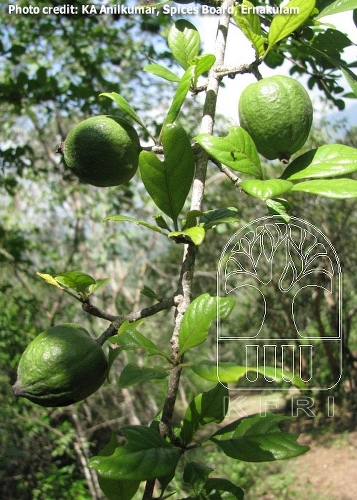 Description: Large shrub to small trees with small straight axillary spines. Leaves opposite on short lateral branchlets, to 4.5 x 2 cm, obovate, obtuse, tomentose below, petiolate; stipule ovate, cuspidate. Flowers solitary, terminal on lateral branches, pedicellate; calyx tube 5 mm long, lobes obovate, hispid; corolla tube 6 mm long, broad, densely villous at the base inside; lobes 5, 12 mm long, obovate, twisted, white; stamens 5, anthers sessile at the mouth of the corolla; ovary 2-6-celled; ovules many; style 12 mm long, stout; stigma fusiform, ribbed. Fruit an obovoid berry, 4 x 3 cm, glabrous; seeds many, embedded in pulp.